FREE FREIGHT TO 48 ON THIS ITEM! YAY! 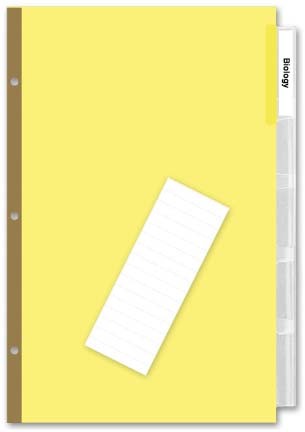 •5 Clear Tabs Index •Gold Mylar® reinforced binding edge with 3 holes •Canary paper •8½" x 5½"